It is important to think about how you think about your business. The results you produce—or fail to produce—stem from how you think about what it is that you do. When asked what you do, you might say, “We are in the distribution services business,” or “We are in the legal services business.” You might say, “I am a financial advisor.” All of these statements are partially true, but believing that these statements are true as written above leads to poor sales results. Let me explain. – You are not a distribution services business; you are a sales organization that happens to sell distribution services. – You are not in the legal services business; you are a sales organization that happens to provide legal services. – If you are a financial advisor, even if you are a solopreneur, you are a sales organization of one, one that happens to provide financial advice and the accompanying vehicles. Too many businesses, large and small, produce poor sales results because they don’t believe and behave as if they are a sales organization. They believe that they are “a distribution services business” that happens to have to sell from time to time. Sales is an afterthought. Time, money, and energy find their way into anything but sales. 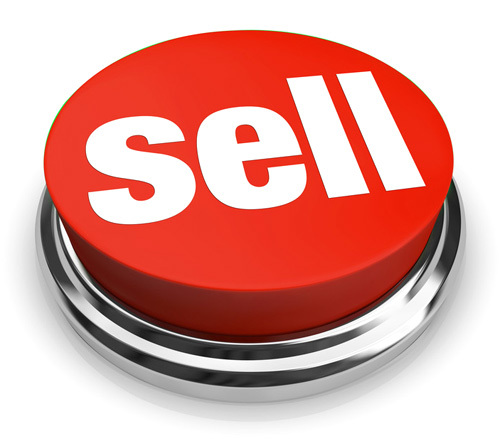 There are some sales organizations that have strong feelings about the word sales. They feel that it somehow discounts the value they create for their clients. They believe that the word “sales” carries too much baggage, that the connotations are too negative. So they avoid the word, and the avoid taking on the identity of a sales organization. The consequences of getting the order of your beliefs wrong are poor sales results, too few opportunities, and a business that isn’t realizing its full potential. You are free to believe whatever you want to believe, but you are not free from the consequences of those beliefs. If you were a sales organization first, then new client acquisition and new order acquisition would be a priority. It would be easy for people to recognize that you were a sales organization because your words, your actions, your time, your energy, and your focus would be sales. If you were a sales organization first, your business would be growing, and it would be growing faster. Your business would think and act like a sales organization. If you believed that you were a sales organization the work that you do to create new opportunities would happen first every day. You would never postpone sales and marketing simply because you have to execute for your clients. If you can only sell after you do the work of executing for your clients, then sales will always be crowded out. And you will always be hungry. Resistance to this idea is not an effective strategy. Avoidance of the truth in this idea isn’t a good strategy either. Like gravity, this truth is rather strong and extremely persistent. How do you define your business? What would happen if you recognized that you were, above all else, a sales organization? How would this change your priorities? Hit reply to send me your thoughts, ideas, and stories. If you know someone who might benefit by redefining how they think about their business, hit forward and send them this newsletter. They can subscribe at http://www.thesalesblog.com. Do good work this week, and I’ll see you here next week!